single « DON’T ROCK N ROLL NO! 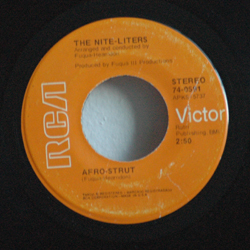 Published on June 1, 2008 in 12", 80s, funk and single. Closed Tags: 1981 extra-funky funky horns beat complex pigbag. 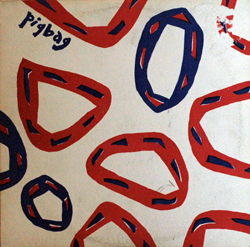 Pigbag is an absurdly funky post-punk ensemble. I ripped this track (the version from the Stiff US 12″) recently for a mix I listened to while training for the 2008 Buffalo Marathon (which I ran last week and got a PR of 3:44!). 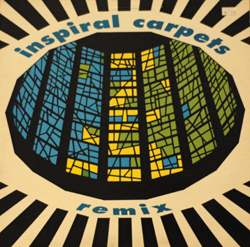 It’s got all the Pigbag trappings, frenetic funky beat, horn blasts, and countless changes. Theses guys are tight. I was prompted to post this track this yesterday when I saw that the always fantastic Fantod Under Glass has made available a live Pigbag LP that I didn’t even know existed. Head on over and check it out. More on Pigbag here. This band has been getting ripped off for years, but somehow still sounds incredibly fresh. Published on December 4, 2007 in 70s, funk and single. Closed Tags: 1973, funky, instrumental. Another jazzy funk number posted mostly for Sam. I love the bassline on this one. It’s great music for standing in line, and gives even the most mundane event a nice little exciting soundtrack. A little short, though. 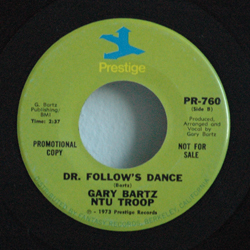 Lots of information on Gary Bartz at his website (wot no myspace? ), & another great track (w/ vocals) posted at Groove Provider. 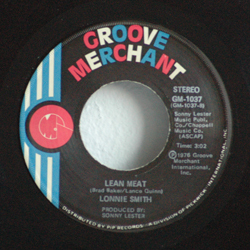 Published on December 2, 2007 in 70s, funk and single. Closed Tags: 1971, funky, fuzz. Great fuzzy funk vocal track from 1971. On “My” records. Notice how me-centric that label is… they want you to sign your name on the actual record so everyone knows it’s yours. I don’t know anything about this record apart from what’s on the label. It looks like Maurice may be “Maurice Rice,” who has the writing credit, by googling is poweless to learn anything. 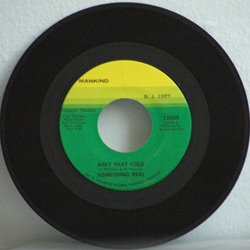 Published on November 20, 2007 in 60s, funk, music and single. 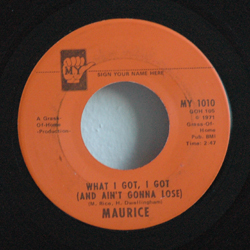 2 Comments Tags: 1969, 45, funky, instrumental, single, soul. 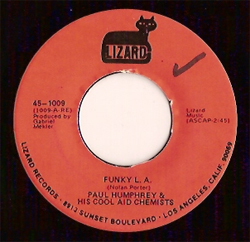 Paul Humphreys & Cool Aid Chemists put out a self-titled album in 1969 that contained this track, and the a-side to the Funky LA 45 (on Lizard). I picked this up in a lot of funky 45s a few years back, and found “Baby Rice” to be the standout. I spun this at a wedding once, and the mother of the bride asked me to stop playing circus music and bring back the James Brown. Wounded, I obliged. Buy the reissued import disc at Dusty Groove or Amazon. Image from FUFUSTEW, a blog you should watch.